African wild dogs are some of Africa’s lesser known animals and certainly some of the most misunderstood. Due to their being critically endangered, with only 5,000 left in the wild, sightings are rare outside of specific areas. However, they are probably Africa’s most effective predators, boasting an 80% success rate with hunts; far higher than the 30% rate of lions. Their scientific name, Lycaon pictus, literally means painted wolf, referencing their mottled fur with black, brown, yellow and white colourings. Every dog’s coat has a unique pattern making individuals easy to spot. They have an extremely powerful bite with specialised molars for shearing meat and breaking bone and have exceptionally keen senses of sight, smell and particularly hearing. Large rounded ears lined with numerous muscles allow the dogs to swivel them like two radar dishes, picking up the minutest of sounds. Long legs, a lean build and rapid muscle recovery all assist in making this animal a formidable endurance hunter. 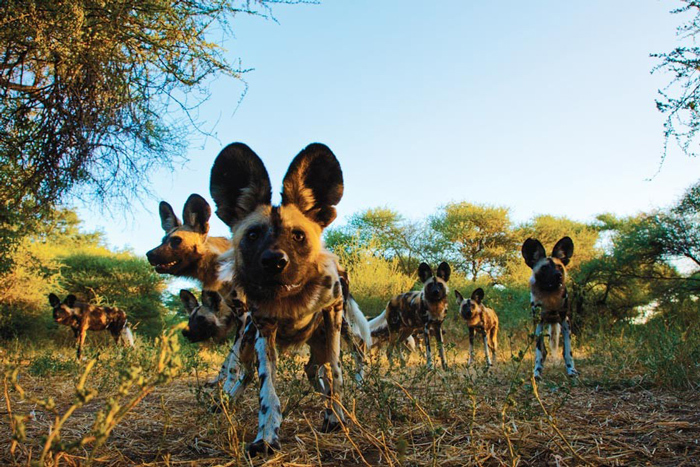 The social structure of a wild dog pack is a fascinating, almost altruistic system. Like other pack animals there is a strict hierarchy, with an alpha breeding pair in charge of the group and the rest of the pack members are all subordinates. When a litter of pups is born, they take priority over even the alphas. At first pups are fed by the dogs regurgitating fresh meat after returning from a hunt, but once old enough, they are taken to the kill and given first choice over the spoils. The other dogs patiently wait on the side lines, standing guard until their turn to feed. They almost never fight amongst themselves over food due to this ranking system. When a dog becomes ill, injured or elderly restricting or even incapacitating their effectiveness as a hunter, the rest of the pack cares for and feeds them. 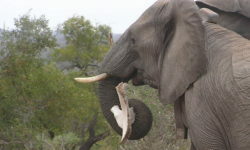 Recently the alpha female of a pack in Botswana lost one of her forelegs during a hunt. For any other predator, this would be a death sentence. However, she remained the alpha female for a few years afterwards continuing to breed and raise pups while being looked after by the pack. Wild dogs are nomadic animals and can traverse 50km in a single day. As a result, their territories can range between 400 and 1500 square kilometres. They only remain in one area when denning. 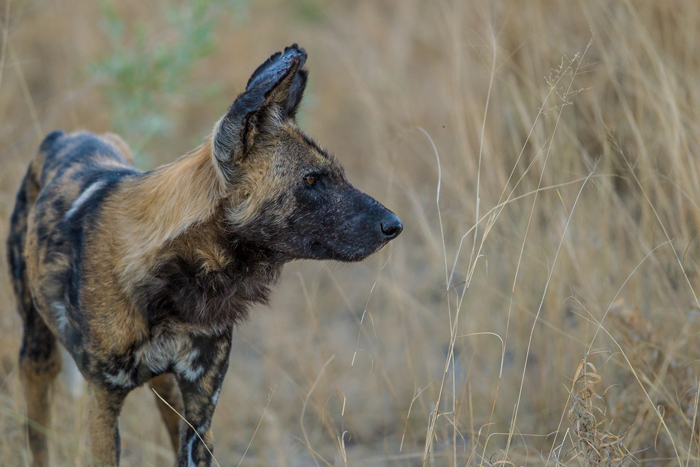 Most predators rely on stealth to hunt their prey, but wild dogs rarely require such tactics. The dogs are built for high stamina chases. A typical hunt will involve the pack spreading out in a line to cover more ground and give each member space to manoeuvre. Upon finding prey the dogs will immediately approach and test the animals’ defences, probing a herd for any weak members. Once a target is selected, the pack attempts to panic and separate the herd. The pack then gives chase to the selected individual, with some dogs performing flanking movements to cut off any avenues of escape. Like an Olympic cycling team, the dog at the head of the chase will pull back as they tire and another one will take their place. Eventually, after a few kilometres, the prey begins to become exhausted. At this point the pack, with their high endurance and teamwork, easily take the animal down. Another favourite tactic of the wild dogs is to herd their prey towards rivers, lakes and other bodies of water. Most wildlife in Africa is afraid of deep water due to the risk of crocodiles. So when an animal is chased towards water it will either be brave enough to dive in, or, the more likely outcome is that they will panic, turn back into their pursuers and be quickly dispatched. Sometimes the dogs use tactics similar to the lions, where one pack member flushes out and drives prey into the others waiting in ambush. The reason why there are only about 5,000 African wild dogs left is mainly down to people. Farmers, believing them to be vermin, would shoot any dogs they saw, sometimes even tracking down dens and poisoning the inhabitants inside. 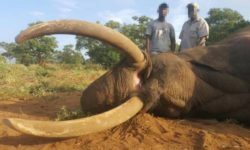 Poachers’ snares meant for other game and human civilisation encroaching on their habitats also contribute. The main causes of their population decline though are diseases such as rabies, contracted usually from domestic animals. Because of their highly social nature one rabid wild dog would quickly infect the rest of the pack, wiping them out entirely. The dominant pair is monogamous and would usually be the only ones to breed in a pack, though a beta pair does sometimes produce pups as well, which are then either killed or adopted by the alpha pair. Each litter can have between four and 12 pups. Unlike most other pack animals, male wild dogs tend to stay within their pack’s territory once reaching sexual maturity, whereas the females will travel long distances to find a mate. This behaviour is a good countermeasure against inbreeding. African wild dogs used to be found across the whole continent but are now limited to countries in the south and east of Africa, the main strongholds being in the Okavango Delta and the Selous Game Reserve. 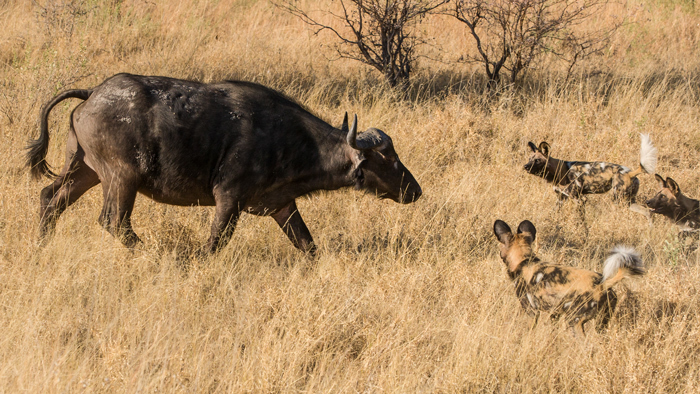 East African wild dogs are slightly smaller than their counterparts in the south. There are five subspecies of wild dog in Africa; the Cape wild dog, the East African wild dog, the West African wild dog, the Chadian wild dog and the Somali wild dog, though the genetic diversity of these subdivisions is under debate. Although wild dogs do share a common ancestor with wolves from a few million years ago, they are not genetically compatible, so interbreeding with any other canid isn’t possible. The selective breeding applied to domesticated dogs which formed the different breeds could never work with African wild dogs. People have attempted to tame wild dogs but never successfully. They are naturally distrusting of humans or indeed any animal outside of their own pack. When humans have domesticated dogs in the past, it was due to certain character traits prevalent in canines that could be amplified through breeding. One of these traits was a willingness to be touched by humans. This combined with traits of curiosity and opportunism paved the way for humanity’s greatest symbiotic relationship with an animal affectionately named “man’s best friend.” Wild dogs have never displayed these traits and it is unlikely they ever will. 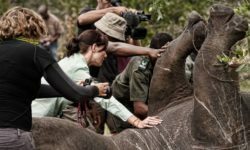 Natural World Safaris is a specialist tour operator with a focus on wildlife, creating extraordinary journeys that put clients in the heart of the natural world. 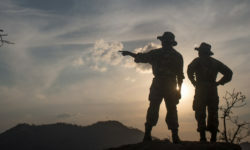 The NWS team have extensive on-the-ground knowledge and have all lived, guided or explored in great detail the destinations that they specialise in. 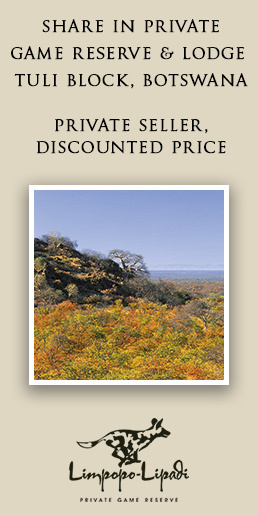 We craft itineraries using a selection of handpicked camps and lodges to create private tailor-made safaris, small group trips or specialist led tours that put clients in the right place at the right time to maximise their safari experience.